Adding pleasure and comfort to your everyday bathroom experience, VitrA presents the Nest collection in association with Pentagon Designs. 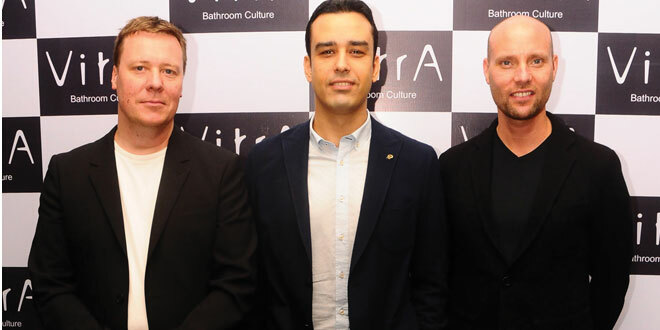 VitrA, the leading bathroom solutions brand of Eczacıbaşı, a prominent Turkish industrial group recently hosted the partners at Pentagon Design in Bangalore. The masterpiece Nest collection of VitrA is designed with Pentagon Design, a leading Nordic design agencies from Finland that create holistic concepts which result in user-driven products, packaging, spaces, services and brand experiences that generate delight for consumers and value for their clients. Pentagon Designs are well-known for integrating rigorous processes and out of-the-box creativity and have been been awarded with awards like ‘RedDot Design Award’, ‘Good Design Award’, ‘iF product Design’ awards. 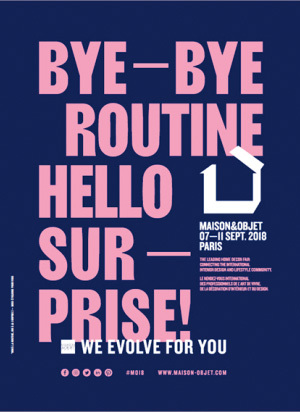 Presenting their belief of ‘versatility equals good design’ in all their works, the brand is invariably associated with the finest brands and ever projects of increasing weight and prestige. From designing Hygge VÄRI watch series for women, Foot analysis & measurement kiosk, curating a World Design Capital year design & technology exhibition and many more. Backed with VitrA’s aesthetics and advanced technology, the Nest collection draws inspiration from the needs and desires of every member of the family. 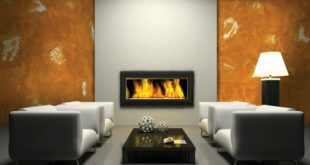 Offering ‘family-sized comfort’ with a wealth of features right from the child step, night lights to the laundry cabinet and easy to reach storage areas, the product also offers heat gauge of the digital bathroom mixer that displays water temperature with great accuracy for extra comfort and safety. Equipped with smart functionality the Nest Series by VitrA offers the display which allows the users to keep a track of the water flow and total water used, enabling more efficient savings. The digital display does not require an external power as it’s powered by the generator. 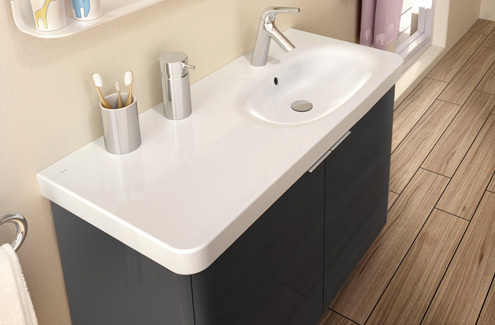 The new VitrA Nest Trendy series adds pleasure and comfort to the family bathroom experience. With a wide range of functional products designed along new generation modularity, Nest serves the needs of every member of the family.